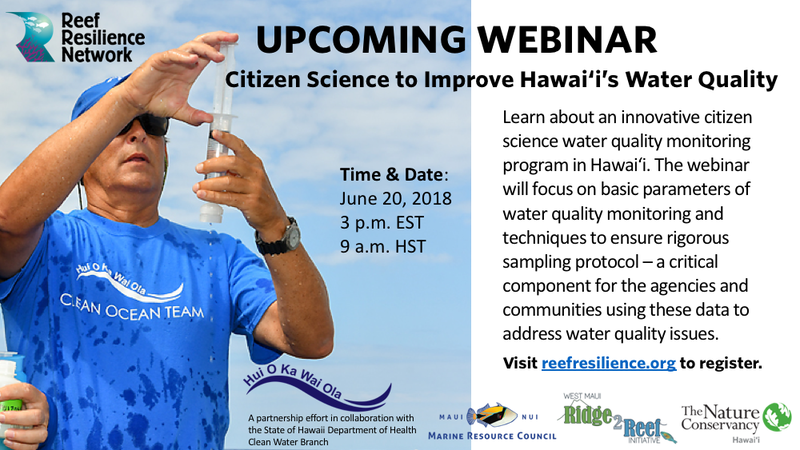 Watch a Hui O Ka Wai Ola Webinar hosted by the Reef Resilience Network! Update to Hui O Ka Wai Ola and DOH sample sites! 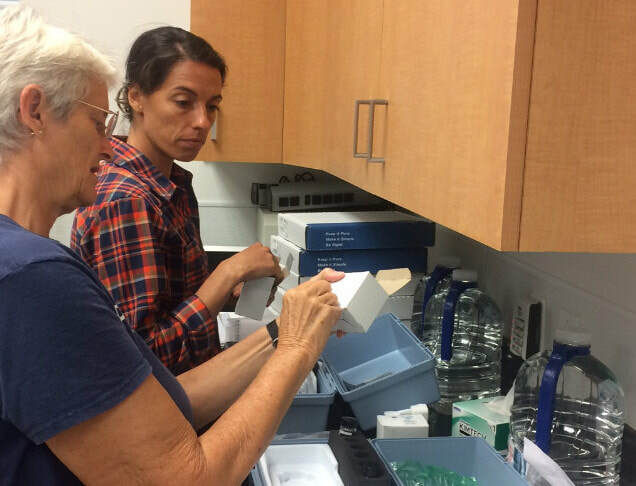 The Hawai'i Department of Health (DOH) has monitored 18 Tier 1 sites weekly for basic water quality parameters and bacteria since the end of 2017. Some of these sites have also been monitored by Hui O Ka Wai Ola, who collected additional nutrient data (nitrogen and phosphorus compounds) along with turbidity and other basic physical parameters. 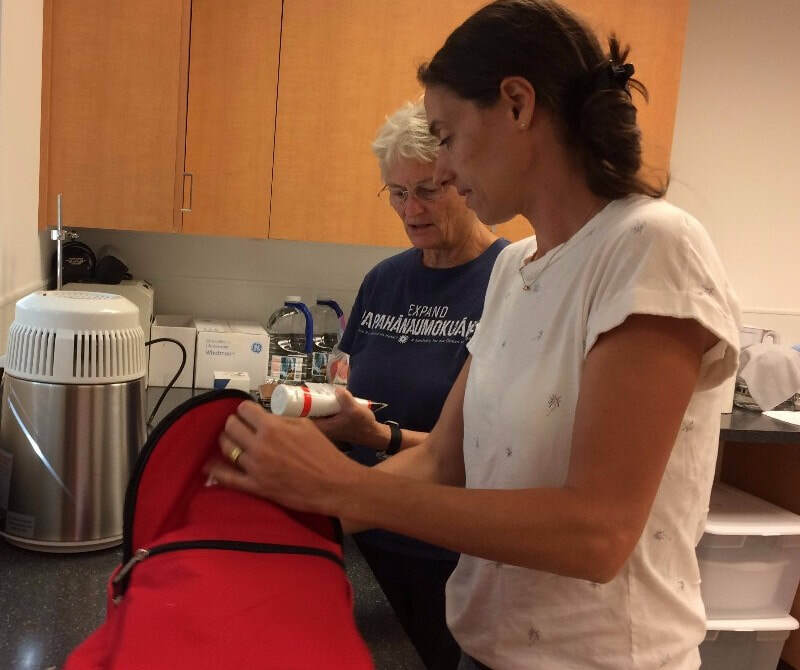 DOH is now collecting all of the parameters that Hui O Ka Wai Ola collects and more (Enterococcus, Clostridium and Chlorophyll A) at these 18 DOH Tier 1 sites! 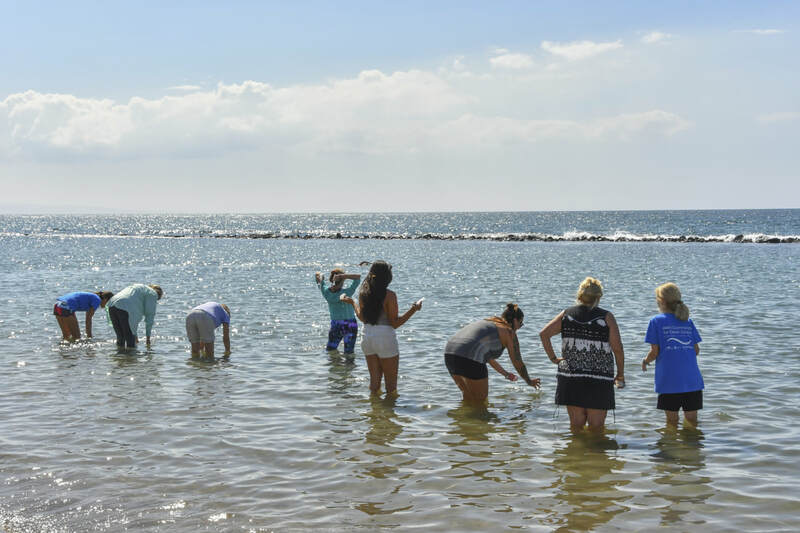 Hui O Ka Wai Ola Featured in the National Water Quality Monitoring Council's Fall Newsletter! 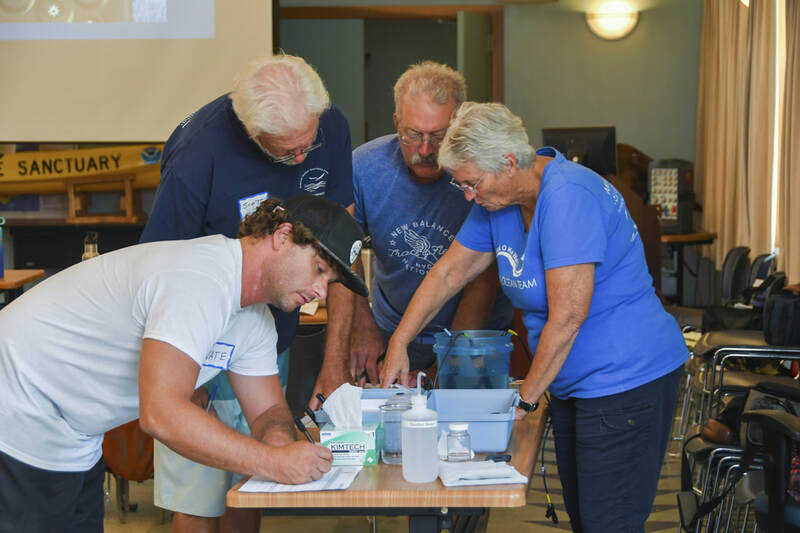 The National Water Quality Monitoring Council was created in 1997 as a vehicle for bringing together diverse expertise needed to develop collaborative, comparable, and cost-effective approaches for monitoring and assessing our Nation’s water quality. 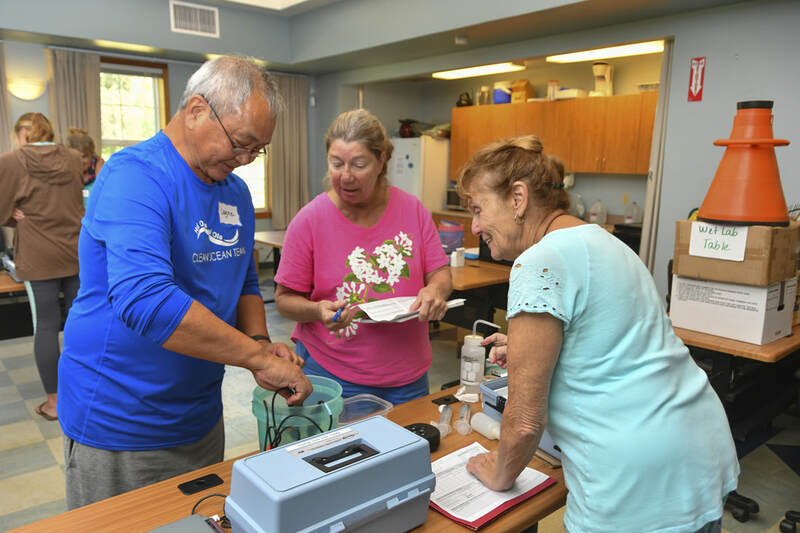 Hui O Ka Wai Ola is featured in their Fall 2017 newsletter on page 13 - check it out! 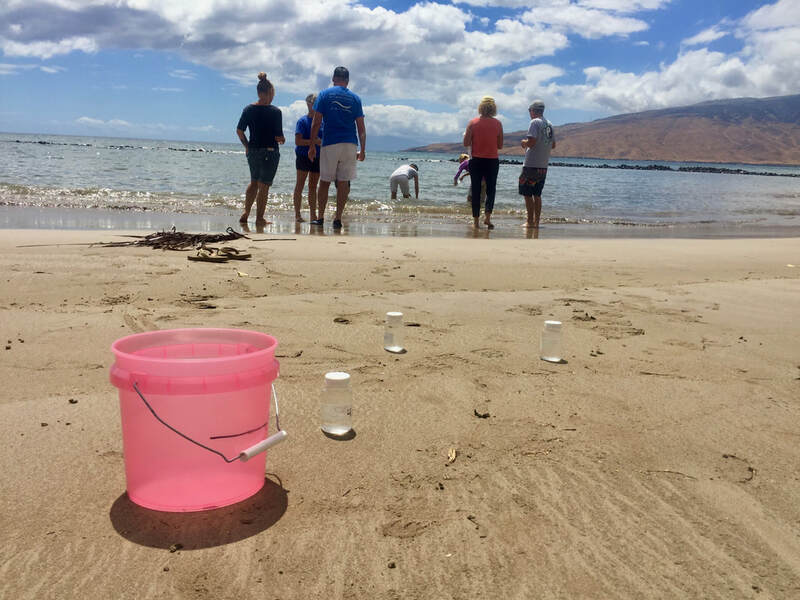 Pictured: Volunteers Ty Freiberg and Marie Schroeder demonstrate how to filter samples for nutrient analysis in west Maui. 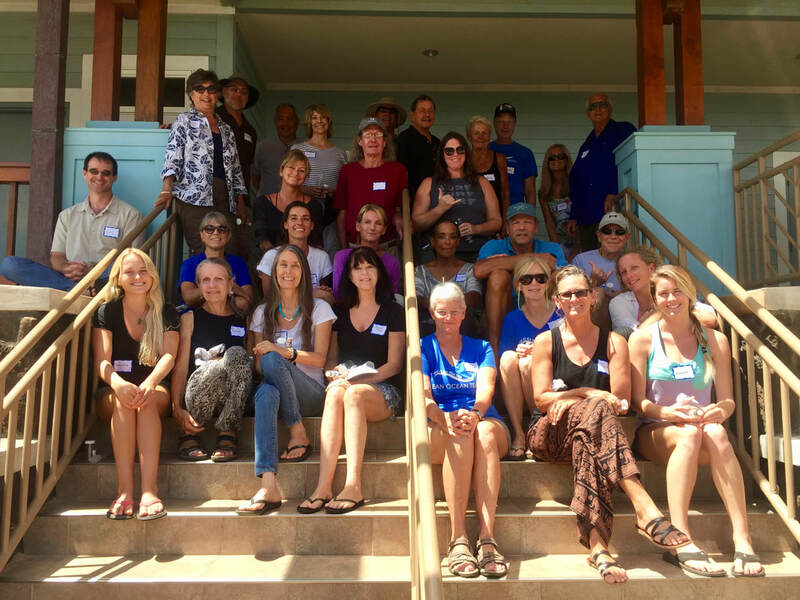 Hui O Ka Wai Ola partners from the Maui Nui Marine Resource Council, The Nature Conservancy, the Ridge to Reef Initiative, and University of Hawai'i participated in the 2017 Hawai'i Conservation Conference on O'ahu from July 18-20. 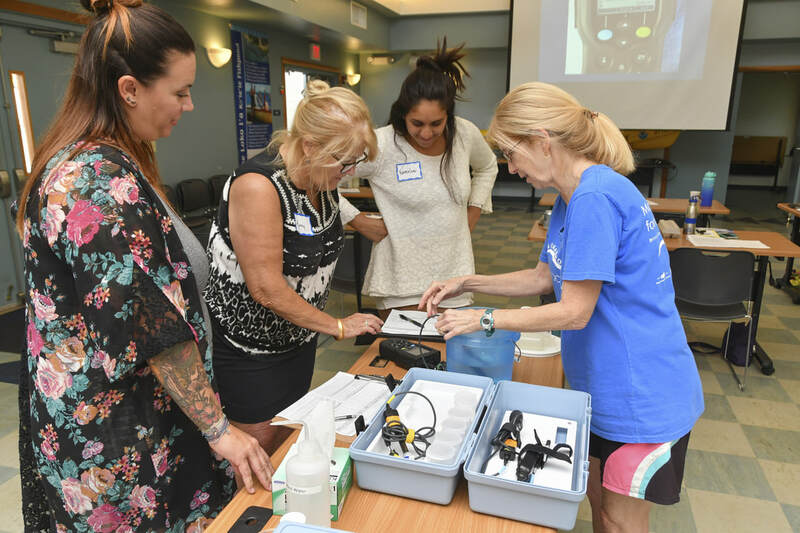 The water quality program partners presented and provided support during a 2-hour forum on July 18th titled “Water Quality Monitoring 101 Training: Citizen Science + Quality Assurance = Actionable Data that Improves Hawaii’s Waters”. Participants were walked through the steps of creating a quality assured, volunteer-based, monitoring program for their community and given a live demonstration of sampling techniques and protocols. Other speakers include Stuart Coleman from Surfrider and Erica Perez from Coral Reef Alliance. Mahalo to Amy Hodges from the Maui Nui Marine Resource Council for this photo and post.